Language Australis is one of Australia’s most reputable language translation specialists, offering multilingual solutions in over 100 languages. Currently, our most sought-after language is Chinese since this is used both locally and overseas. With almost 500,000 Chinese living in Australia, there is much to translate on such matters as health, education and the law. On the international side, with the rush to do business in China, a high volume of translation projects are dedicated to marketing and promoting corporate material. Our Chinese translation specialists provide excellent translation results every time and deliver the final product in a timely manner at an affordable price. Why choose our NAATI-certified Chinese translation service? Because we’ve been providing top-quality Chinese translations across Australia for more than two decades. 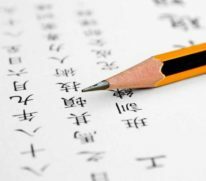 There are in fact two types of Chinese in written form: Simplified Chinese and Traditional Chinese. Our first question to clients who are new to marketing to China is: ‘Where will the material be used’. If the answer is mainland China or Singapore, we recommend using the simplified form. If the answer is Taiwan, we recommend the traditional form. The basic difference between the two is that Traditional Chinese has more strokes to the character than Simplified Chinese, which came into being in the 1950s to make it easier for people to read and write. It is so important to get the distinction between Simple and Traditional Chinese right as your entire marketing campaign relies on the correct written form. Simplified Chinese is often referred to as Mandarin and Traditional Chinese as Cantonese – this is correct only when referring to the spoken form. These names should, therefore, be used only in relation to interpreting. The professional and qualified Chinese translation team here at Language Australis are accredited by the National Accreditation Authority for Translators and Interpreters (NAATI) and are native speakers of the language they are translating into. Our team has a wide range of skills and knowledge in marketing, finance, commerce, health, technology, science and law sectors meaning that the professionals translating your documents have skills above and beyond translation. At Language Australis, we administer translations across different professional industries and for the individual so you can rest assured that no matter what you need translated, we can provide the best service for you and your business. With our extensive team of qualified translators in Simplified and Traditional Chinese, we are able to help you in translating information such as court documents, birth certificates and business data, delivering the most accurate translations. With society moving towards a globalised economy and alongside ongoing advancements in technology, having a broad and international audience is essential. Using a professional and reliable translator, particularly in the Asian languages, can be one of your company’s biggest assets. We encourage you to use this asset and contact us to discuss your next Chinese-focused campaign, locally or in China. If you would like advice, a quote or to make an appointment with our NAATI-certified Chinese translators, please don’t hesitate to contact Language Australis. Located in Malvern East, Victoria, our Chinese translation services are conveniently located for clients in Dandenong, Springvale and the greater Melbourne area. You can reach out to us by calling (03) 9571 2227, emailing lingo@languageaustralis.com.au or by using our online contact form.